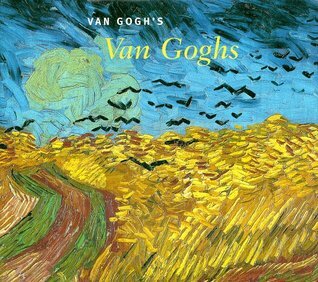 "Van Gogh's Van Goghs" presents seventy paintings from the extraordinary collection of the Van Gogh Museum, Amsterdam, home to the single greatest assemblage of the artist's paintings, drawings, and letters. The collection is based on works acquired directly from the artist by his brother Theo, an art dealer and the source of Vincent's financial and emotional support. All "Van Gogh's Van Goghs" presents seventy paintings from the extraordinary collection of the Van Gogh Museum, Amsterdam, home to the single greatest assemblage of the artist's paintings, drawings, and letters. The collection is based on works acquired directly from the artist by his brother Theo, an art dealer and the source of Vincent's financial and emotional support. All periods of Vincent van Gogh's brief but intensely productive career are represented: his earliest paintings in The Netherlands; his responses to French Impressionism in 1886; the images he painted while in hospitals in Arles and Saint-Remy in southern France; and his last, feverishly creative works in Auvers-sur-Oise. "Van Gogh's Van Goghs" represents a unique opportunity to sample the largest and most varied Van Gogh collection in the world. It accompanies a major exhibition organized by the National Gallery of Art, Washington, and the Van Gogh Museum, Amsterdam, in collaboration with the Los Angeles County Museum of Art.